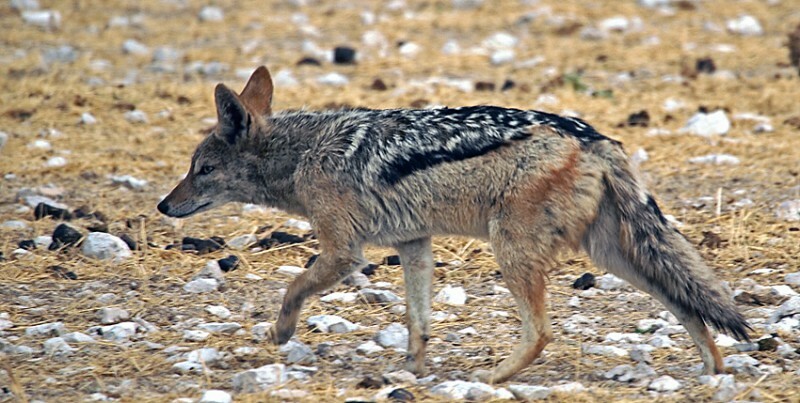 The Black-backed Jackal is found all over the park, day and night. They cause problems in the camps because tourist often feed them. That is of course not allowed and you are even warned of too friendly jackals – they might have rabies. They follow the big predators and we saw the reason.. Satisfied lions sleeping and jackals enjoying the left-overs. 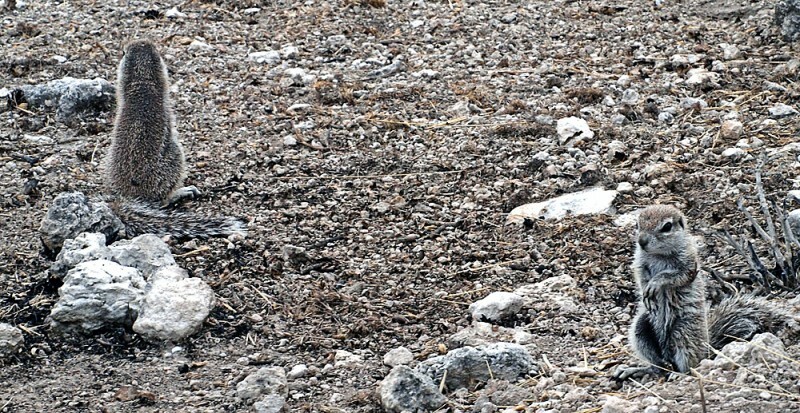 Ground Squirrels are also found all over the park and are quite easy to find just next to the roads. When you approach they disappear but just stop the car and it’s engine and they are soon up again. They often stand with their back to the sun using the tail as sunshade. The enemy of squirrels are snakes. A strategy is that squirrels let mungooses stay in their burrows. Mungoose are not as good at digging as squirrels but very good at keeping after snakes. 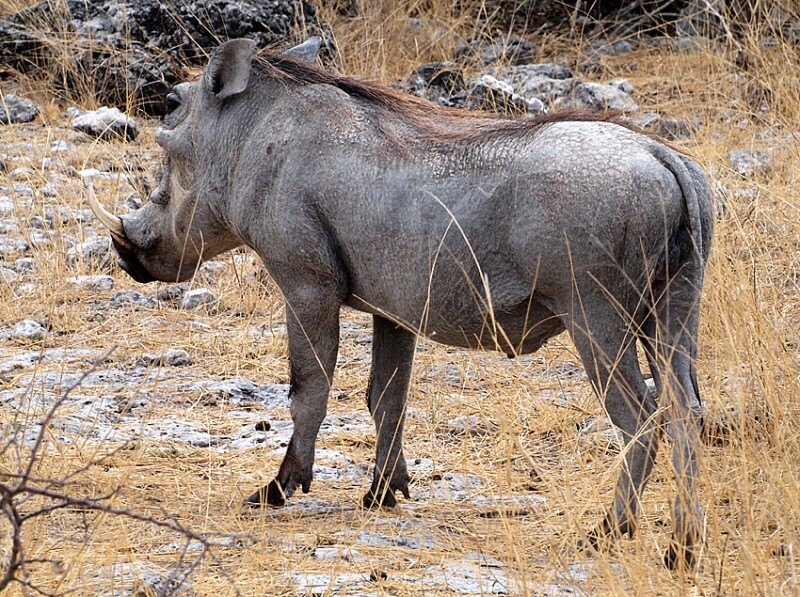 I have seen lots of Warthogs in Namibia, often close to the big roads, but in Etosha I think I only saw this one. They keep mainly to the east of the park, near Namutoni, where there are lots of waterholes.